You may have heard about 16-year-old Swedish climate activist. Actually, this is someone very hard not to have heard about recently. That’s because Greta Thunberg, the initiator of the Youth Strike for Climate movement, has just been nominated for the Nobel Peace Prize. 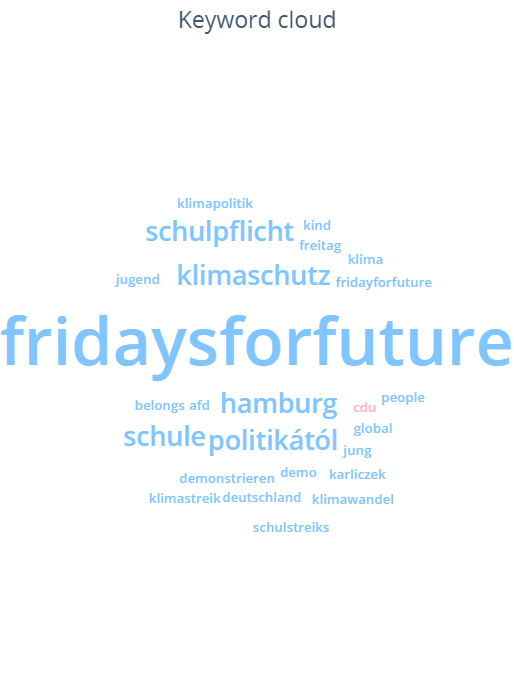 How did the #schoolstrike4climate start? On 20 August 2018, Greta – being a 15-year-old nine-grader – decided to not attend school after most serious in the country’s modern history wildfires caused by European heat waves. Her idea, however strong and shocking it may seem, was that there is no point in preparing for the future if the future itself is in danger. She decided that the children must take actions into their own hands and create a pressure, as the adults seem not to care enough. Her first strike had been planned until 9 September, the date of Sweden general election. 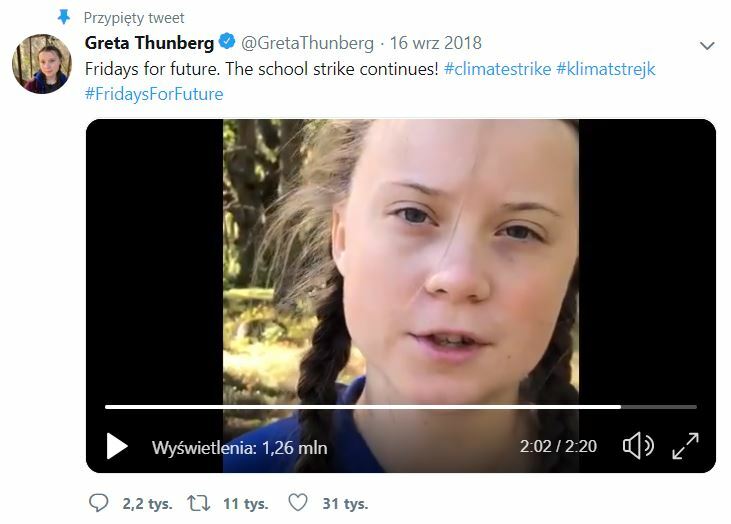 Instead of school, she was sitting on the cobblestones outside the Swedish parliament – Riksdag – alone, with a hand-painted sign saying “Skolstrejk för klimatet” (“school strike for climate”). Her demands? Very simple – that the Swedish government reduces carbon emissions in accordance with the Paris Agreement. As you can see below, it was the beginning of something huge. The moment when the name of a teenage climate change warrior appeared online. The moment when the whole story begins. August 2018 was just a start of Greta’s and her ideas rapid rise. 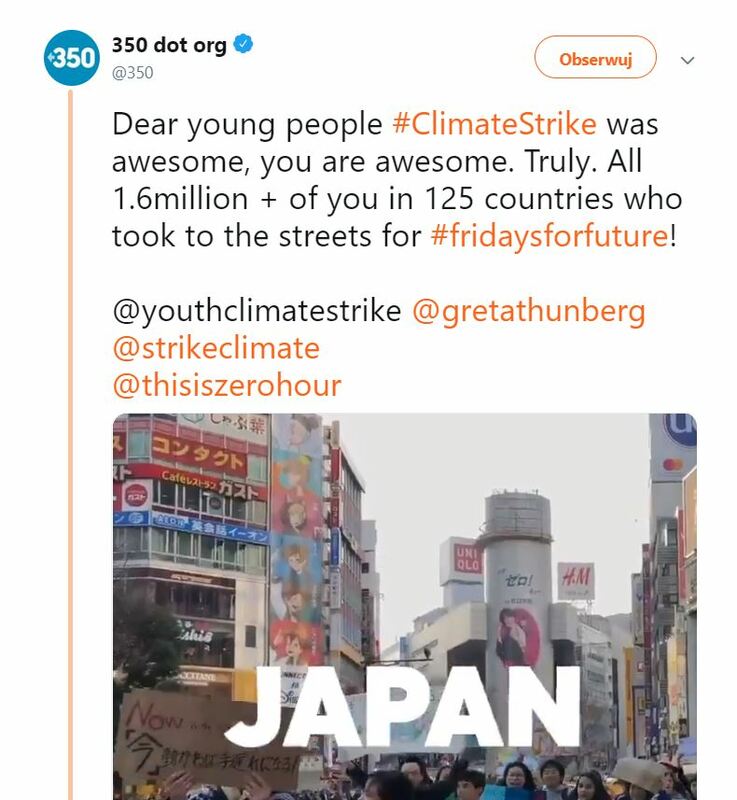 She decided to continue her strike every Friday until Sweden aligns with the Paris Agreement. As it comes out very fast, Greta inspired thousands of students who decided to join her strike around the world. To express her views online, she chose Twitter, where short calls can spread in the blink of an eye. With the growth of popularity, Greta started receiving invitations to the world’s most important meetings, where she got a chance to express her ideas. Starting with free-speech stage TedX Stockholm, through United Nations Climate Change Conference COP 24 Katowice, up to World Economic Forum in Davos. Her speeches quickly became viral, viewed on Facebook and YouTube hundreds of millions of times. What’s even more important, she truly engaged people, provoking hundreds of thousands of comments and shares. That’s how the discussion began to spread all over the world. How can we be so sure about these numbers? 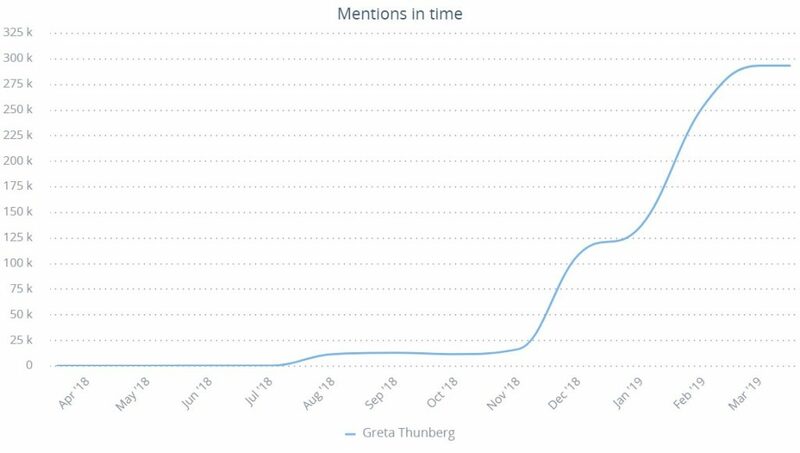 Take a look again at the online listening chart, and you will notice a significant increase in the number of mentions about Greta on these exact dates, which translates directly into discussion intensity and reach growth. Again, the most appropriate communication channel to voice these doubts seems to be Twitter. Moreover, the growing movement for the future is not just a kid’s strike anymore. It involved adults, especially those directly related to the global warming problem. In support of the factual correctness of the claims formulated by Greta’s movement, more than 23 thousands of scientists from Germany, Austria and Switzerland founded Scientists for Future (S4F) association. Also, 350 Dutch scientists signed an open letter in support of the school strikes in their country. We can already see the first real changes resulting from movements such as the Youth Strike for Climate. 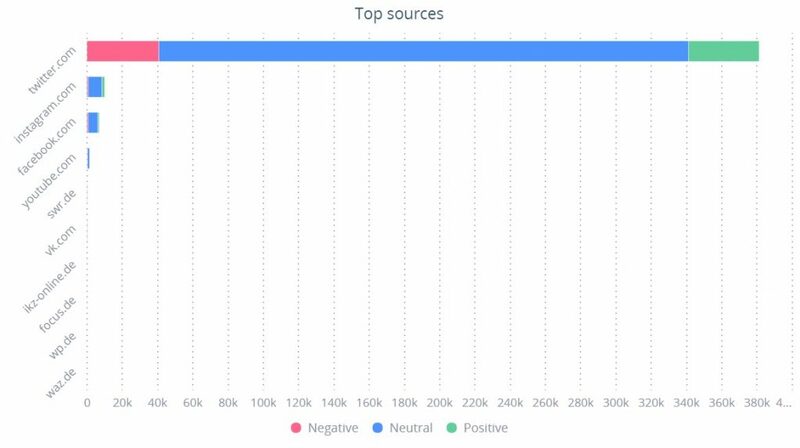 And we can safely assume that the ideas expressed by Greta Thunberg and her followers on the Internet have made a huge impact. It seems like one of those times where online channels have played a great role in the important matters happening in the real world. It’s no longer just selfies and emojis, but you can actually see the change. 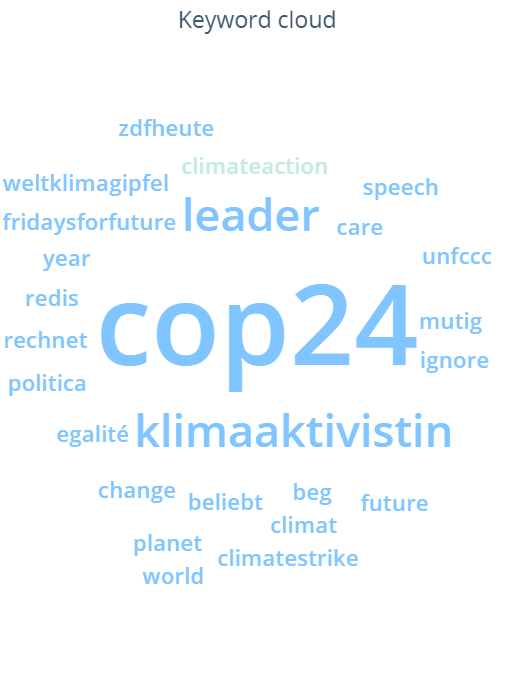 On 21 February 2019, the European Union chief executive, Jean-Claude Juncker, shared the intent to spend hundreds of billions of euros on climate change mitigation, the amount being a fourth of the EU budget. Earlier, in October 2018 the European Parliament has voted for a complete ban on a range of single-use plastics, such as cutlery and plates, cotton buds, straws, drink-stirrers and balloon sticks. These products, which make up over 70% of marine litter, will be banned entirely from the EU market, starting in 2021. And last but not least of the most visible actions taken IRL, influenced by the spreading online discussion, is surely Greta’s Nobel Peace Prize nomination. The story of a teenager, who started the path alone and has been joined by millions of people all over the world, seems truly impressive. She clearly put into words what many people have felt and became a symbol of a change. A change demanded by children, who after all, will be the beneficiaries or victims of today’s actions. What more can be achieved by Greta’s movement? Will the Paris regulations be implemented? Time will tell. One thing is sure: Internet users will be talking about it loud. This is definitely a topic worth following. Rafał Miazga Associated with PR and communication of large brands since the beginning of his professional career. At SentiOne, he discovers fascinating stories behind the data based on social listening.